The Paul Nicholls-trained McFabulous (5g Milan - Rossavon, by Beneficial) gained his first black-type victory when justifying favouritism in the Grade 2 Weatherbys Bumper at Aintree on Friday. Successful on debut in October, the Giraffa Racing-owned bay disappointed next time out but bounced back to his best when impressing at Newbury in early March. Sent off favourite of 12 runners on his latest start, he was ridden towards the back of the field by Harry Cobden, who bided his time until the two furlong pole to produce a challenge. Leading inside the final furlong, he continued to rally when pressed by Thebannerkingrebel and prevailed by a length on the line. On pedigree, it would seem that the best is yet to come from McFabulous, being a half-brother to Grade 1 winning chaser Waiting Patiently (Flemensfirth). 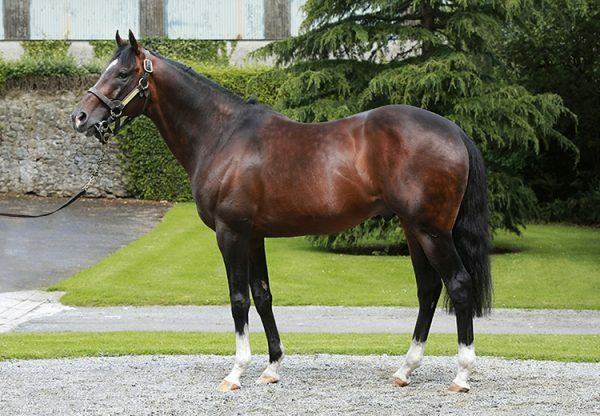 Bred by Vincent Finn, he cost connections €88,000 at the Tattersalls Ireland Derby Sale.